Infinite Art Tournament: The Infinite Art Tournament, Left Bracket Third Round: Avercamp v. Arcimboldo! 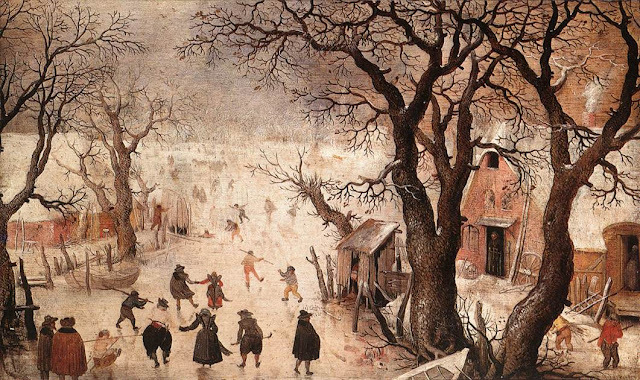 The Infinite Art Tournament, Left Bracket Third Round: Avercamp v. Arcimboldo! 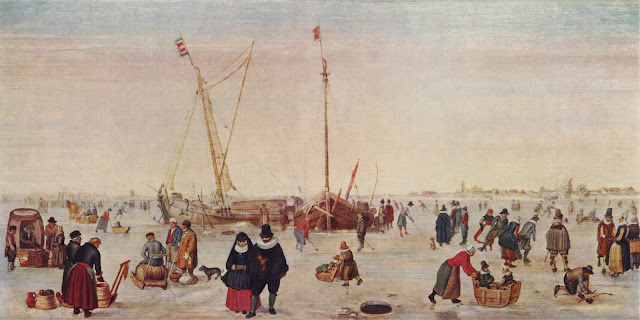 As various snarls and tangles at the very top of the brackets start to resolve themselves, we have Hendrick Avercamp today becoming the first artist to make a SIXTH appearance in the Tournament. Avercamp lost his first outing (against Francis Bacon, who subsequently lost two straight and left the tournament), but since then has won three and tied once to make it 3-1-1. He jumps brackets now after the tiebreak to take on 2-1-0 Giuseppe Arcimboldo for a spot in the semi-finals. Who's going to win this one? 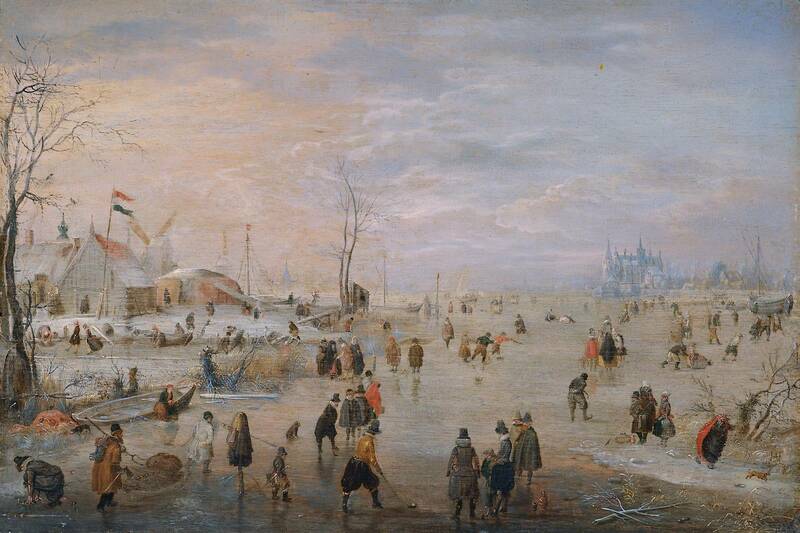 I'll tell you who: You, the art connoisseur and IAT voter. Lost to Francis Bacon in Round 1. Clobbered Frank Auerbach in Left Bracket First-Round Elimination. Handily defeated 20th Century French painter Balthus in the Left Bracket Second Round. Locked in a tie with Hans Baldung in Left Bracket Second Round Elimination. Freaked out the squares by knocking out Josef Albers in Left Bracket Second Round Elimination Tiebreak! Thumped on sculptor Alexander Archipenko in Round 2. Lost to Italian master Fra Angelico in Round 3. Man, this is a tough one. 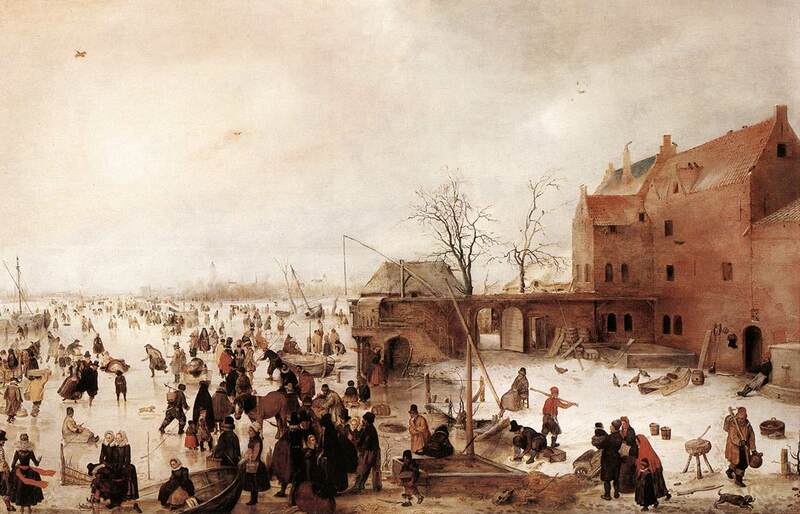 On one hand we have Avercamp with his beautiful, detailed human landscapes. 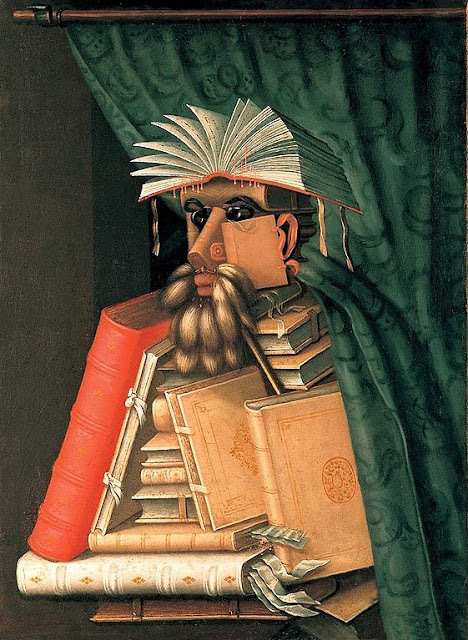 On the other hand, we have Arcimboldo, who can hardly be called a gimmick artist due to his incredible skill and detail. In the end, though, I'll have to go with Avercamp. 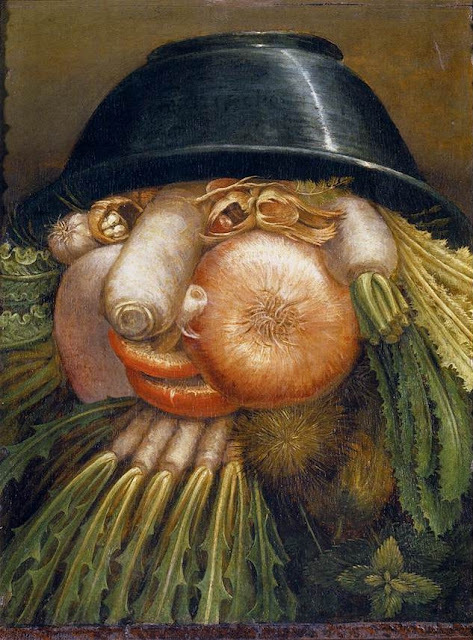 Arcimboldo's subjects might have color, but Avercamp's have character, and that's what I think won him over for me. 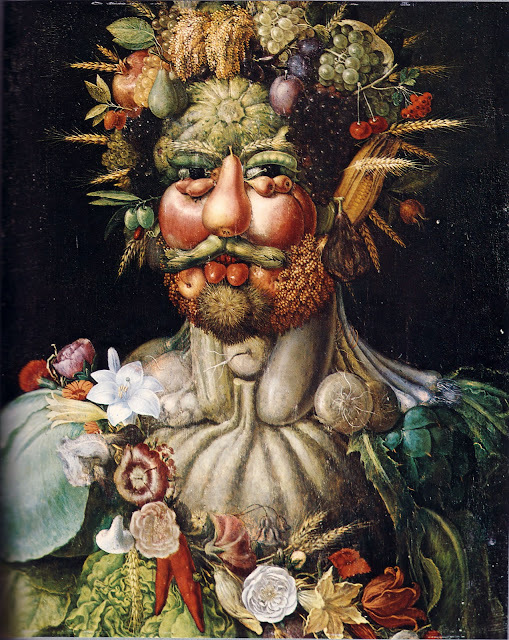 Giuseppe Arcimboldo, for being so hip back in the 16th century. Arcimboldo is fun and all, but after a while, eh... Avercamp, on the other hand, kinda grows on you...or me anyway. Avercamp. I really like what Morgan wrote, but end up with a vote for Arcimboldo. I see plenty of character in his portraits, and I guess I rank his reinvention of the observed world a little higher than Avercamp's depictions. Plus they're, you know, funny. Two sentimental favorites for me, and it's been fun to see them get this far in the Tourney. Who continues on? I'm going to do like Morgan and vote Avercamp. 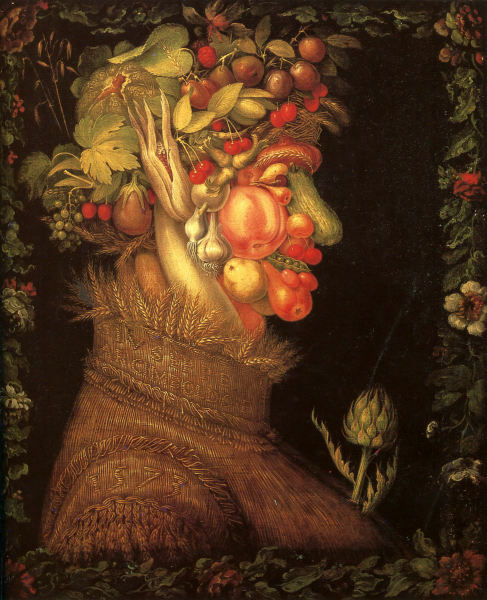 Here's a vote-by-email for Arcimboldo. And.... it's a tie. A 5-5 tie. So, Avercamp and Arcimboldo will have to sit here quivering on the brink of the semis, waiting for another tie in the Left Bracket Third Round. It might be a while, but hey -- maybe they'll both win through!